If you’ve stayed with us before in one of our charming Meribel chalets, then you’ll know that our cooks love serving up a great mix of dishes to cater for every tastebud. Hearty, healthy and designed to give you bags of energy for an active outdoor lifestyle, opting for a catered chalet in Meribel with Ski Basics means that you can enjoy quality food served up in your own space every morning and evening – what could be more handy? Nestled perfectly in an area renowned for it’s traditional Savoyard dishes, our chalets in Meribel are within easy access of all the best local delicacies when it comes to ingredients, so chances are you’ll be treated to a few – may be it an après dinner shot of Genepi, or even a portion of delicious Tartiflette. Fancy recreating it at home? Tartiflette could be easier than you think (but don’t tell your guests that!). 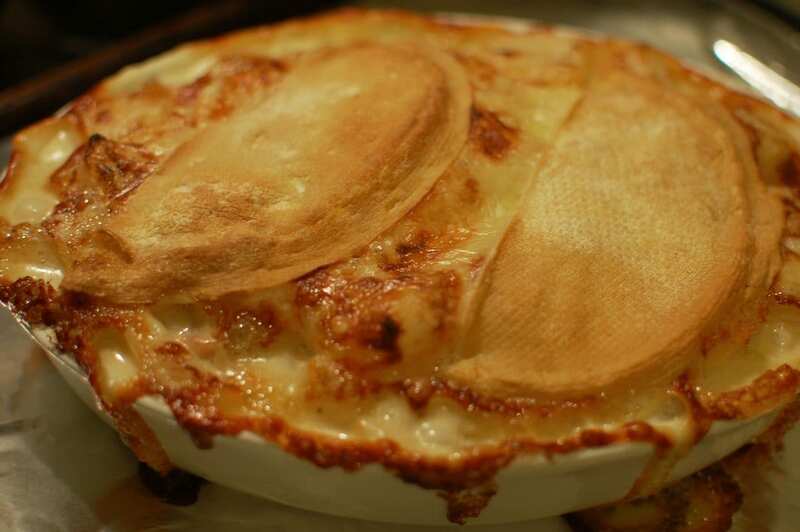 To start your chalet cooking style Tartiflette, peel your potatoes and chop in thick slices, ready to layer. Boil in salted water for 10 minutes until tender, before draining. In the meanwhile, finely chop the onions and fry in butter until soft, before adding the lardons and cook for a couple of minutes until the lardons start to brown. Next, roughly tear the Reblochon cheese into chunks and get a large baking dish ready. Layer your potatoes with the onion and lardon mixture, plus the cheese and season each one with salt and pepper, before pouring the cream over the top when finished. Bake at 200°C for 15-20 minutes until the top starts to brown and serve with a simple salad for classic rustic French style cooking. You can have your very own Meribel catered chalet style meal at home, however if you don’t fancy cooking for yourself, then make sure you book your spaces in one of our Meribel chalets for the Winter 2013/14 season. Our availability and prices are online now, or you can call us on 01225 731312 for friendly advice.